Last day of the year, last loot of the year! I so totally wish Santa had brought me all of this instead of buying it myself. =_=' Lets see the last loot I posted was back in October about two months ago. 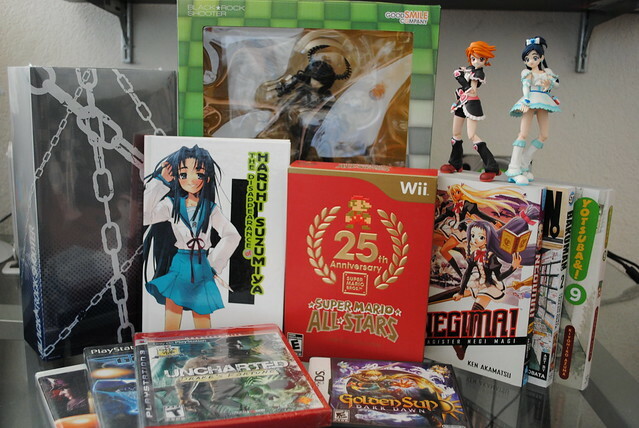 First up is some BRS stuff. 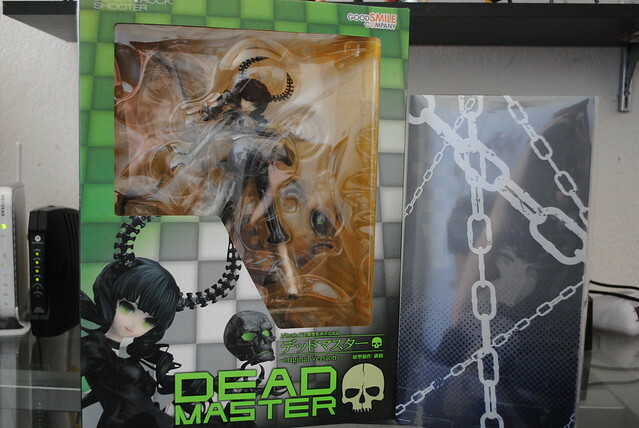 To be honest I was actually gonna cancel both these; however, I took too long with the scaled Dead Master and she came in stock. Still, it is a nice looking figure so I don't regret it in the end. As for the BRS blu-ray I was going to until fellow Twitter comrade Mr. Optic posted a picture of the awesome looking packaging and contents. After all it comes with the blu-ray, dvd, a full storyboad book, an art book, something or other code for the PSP game and the petit nendos. Plus, it's cheaper than your average Japanese anime blu-ray. 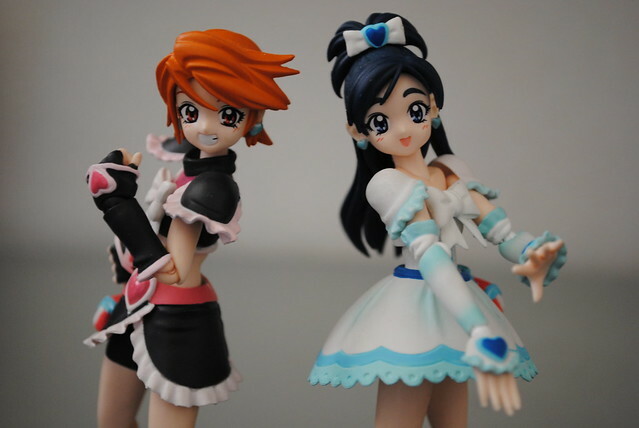 On the figure side I also got these couple of S.H.Figuarts, the original Pretty Cure duo. I talked about Precure not too long ago too. 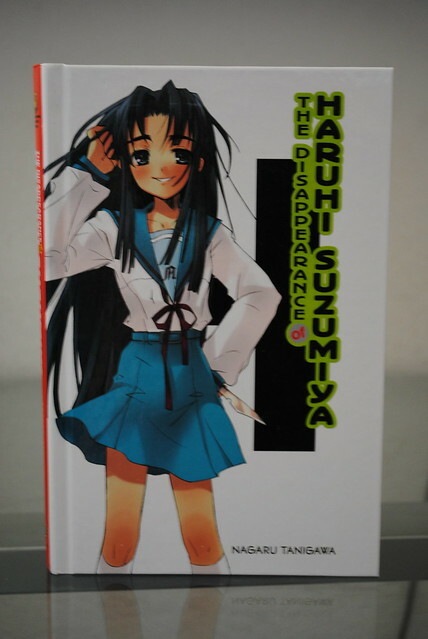 Got the fourth Haruhi novel, the ever so popular Disappearance of Haruhi Suzumiya. So far this is the novel I liked the most, I attribute that to being the first novel that contained material I hadn't watched in the anime before. By the way, the movie was a really awesome adaptation of the novel. 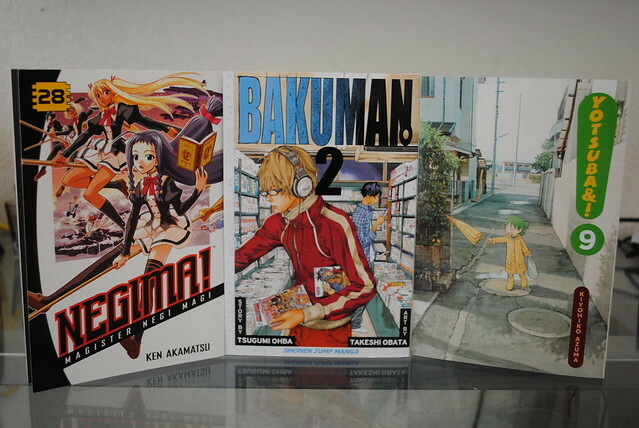 Not enough people have been talking about Bakuman, not even with the anime currently airing. I heavily suggest you should check it out, Bakuman is my favorite Shonen Jump series. Got Negima volume 28, it saddens me Del Rey wont be publishing it anymore but er... Kadokawa's American branch will? Is that right? I hope the new volumes will have the same care that Del Rey puts into their releases, I hope it has the same design too. I will have to wait until April to see how that works out. If you are not reading Yotsuba yet what are you waiting for, remember same author as Azumanga, also probably the most fulfilling slice of life manga I ever read. I was planning on getting all these games on Black Friday but only bought one. I got my self the first Uncharted. 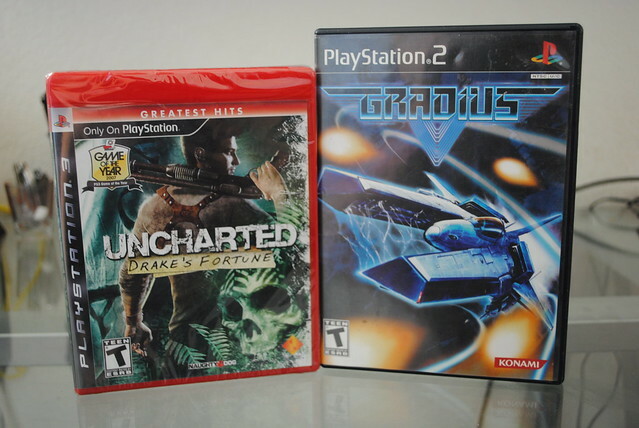 I got sick and tired of everyone saying how mind blowing awesome Uncharted 2 was last year. So in order to see why I bought the first game planning to pick up the second after I finish it. Also picked up Gradius V on the PS2, can't say I am fan of the franchise though. I picked this one up since Treasure was involved in it's development and I am a big Treasure fan. 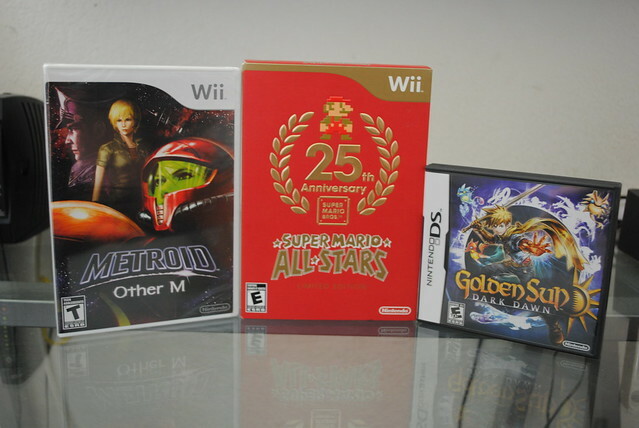 On the Nintendo side I picked up Metroid Other M, shaky storytelling aside mostly everyone liked the gameplay part of it. Once it was on sale on Amazon picked myself a copy. Picked up the Super Mario Allstars collection for the Wii. Talked a bit about its contents too. A nice item to pick up for all Mario fans. Finally there is Golden Sun Dark Dawn, I was one of those people waiting seven years for it. The original two Golden Sun on the GBA were my gateway drugs into RPGs, the genre that dominates my game collection nowadays. Happy New Year's, hope to continue blogging for the next year and hope many of you will come back too.